Afternoon tea with the Ladies at the Hummingbird Tea Room. Kim and Rhonda are getting ready for a party and what better way than to pick up some scratch made delights and imported treats from The British Depot. They also, got some export help from the owner Sarah. Popping up this time at Victory Pie Co! Kim and Rhonda sit down and chat with the owner about her story and her pies. The ladies Pop in to the Brick and Brew located in the Culinary Courtyard to chat with owner Jennifer and check out the food and the drink! The Ladies POP up at Deacon Baldy's to try out all the food.. and I do mean ALL! Kim and Rhonda POPup at the Woodlands BBQ Festival, benefiting Pulmonary Hypertension. They tasted food from all over The Woodlands, did interviews, checked out the sights and listened to the awesome live music. Kim and Rhonda head over to the Bar...? 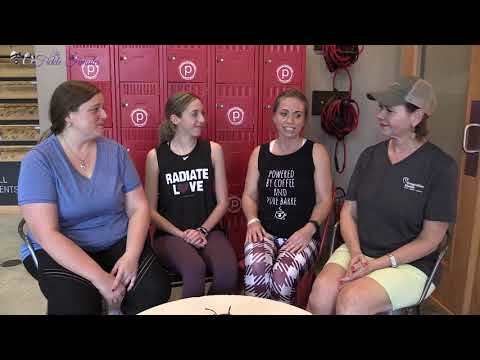 rather Pure Barre at Hughes Landing, The Woodlands. 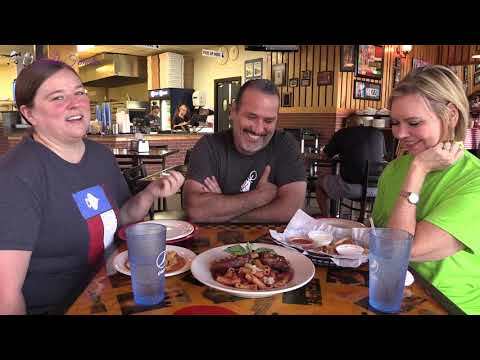 Kim and Rhonda head over to RC Pizza on Sawdust to check in with RC himself and see all the new things going on. Its not just Pizza! Kim & Rhonda stop by Julio's on Sawdust for Margaritas and Puffy Tacos... then a quick trip over to Casa Medina on I45 for their famous Avocado Margarita. Kim & Rhonda head over to Herb & Beet to see how they can turn a Beet into something great to eat. Join Kim & Rhonda as they check out Small Cakes then give a review on the 242 Grill on 1488. Kim Bellini & Rhonda Redman head over to Cupcakes & Bubbles and chat with Cailean Gysler while trying the cupcakes and of course the bubbles!